This Absentee Operated Sports Bar and Club has been in the area for years...and its ready for a new owner who's qualified to own and operate a rare sports bar and club in the South Placer County area. Make it an Irish Pub, Mexican Cantina, Night Club or simply a neighborhood Sports Bar. A few tweaks and revitalized marketing plan and you’re on your way to owning a solid business prospect! This Sports Bar has plenty of entertainment in place such as Pool, darts, and of course Sports TV package. Area: South Placer County…Suburban, with plenty of good urban demo’s nearby with high income earners. Friendly and family oriented community. Menu: The current menu consists of traditional Pub fare…the kitchen can support nearly any type of menu you desire! 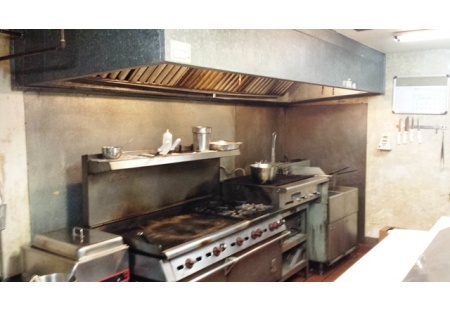 Kitchen: Comes with a Hood system, Grill, Fryer, Coolers, Prep Table & more. Equipped with all the necessary equipment to serve breakfast, lunch and dinner. Lease: 3,175sqf. The rent is only $4,435 all in and landlord will execute a new lease with a qualified buyer. Good landlord's currently taking care of ceilings, exterior deck and parking lot. 47 Full Liquor license & 58 Catering. Great signage…Corner location on Busy road. Take the Kitchen and Menu to a new level! Get a website too! Increase marketing and get live entertainment going on the venue again and you’ll be bring in the dollars. This location has been known to do well over a million in sales. Reason for selling: The current owners do not work this business full time and have full time occupations that require their attention.